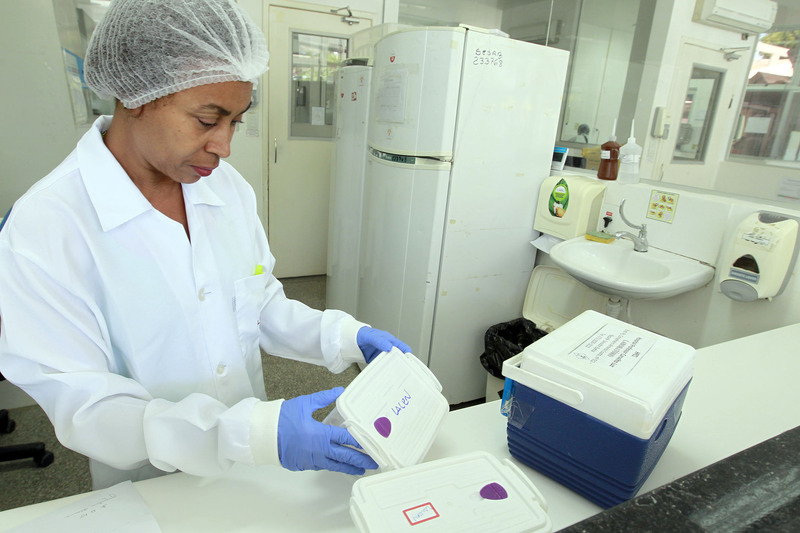 Brazilian researchers have found cheaper, faster test to detect the Zika virus, photo by Carla Ornelas/Government of the state of Bahia. In addition to costing forty times less, the new test provides results in twenty minutes. It is also more accurate, has a lower error rate, and detects disease in cases where the PCR method cannot, says Ribeiro. The PCR test used today is made with genetic material taken from samples, which makes it more complex. The Fiocruz team expects the new technology to reach health clinics by the end of the year, benefiting small towns located away from large urban centers. Zika is transmitted primarily by Aedes aegypti – the same that causes dengue and chikungunya. The disease can cause neurological complications such as microcephaly and the Guillain Barré Syndrome. In Brazil, a surge in Zika cases was recorded at the end of 2015 and the beginning of 2016 and is said to have been the main cause of microcephaly among babies born during that period. Mothers bitten by the mosquito while pregnant infected their unborn children with the virus. Since 2015, Brazil’s Ministry of Health has confirmed over 2,500 cases of children born with microcephaly. Most of the cases happened in the Northeast region of Brazil. In May 2017, it declared the end of the national emergency state for microcephaly-linked-to-Zika.